I want to get the most out of both! I also want to keep my blog transparent and relevant. when I really live a catalogue life for the most part. So I intend to show both. I am doing a good girlfriend share. Here I am sans my fabulous accessories. of ways around the sleeveless issue. is perfect for hikes on the beach on foggy mornings. with a little more panache than usual. I just added a taupe floppy hat. real life morning to night! Very useful for days when I suffer creative block, I will revert back to this post! I adore the fedora and fur vest, very stylish indeed! You are so good at this! If I had tried on the jumpsuit in the shop, I would never have realised the possibilities. You can really see how transformative accessories are when you compare the outfits. They all are so different! I like that vest and recently tried one on but it overwhelmed me...unlike you I am very short...I love it on you! Love a new series about accessories! These look great! I pinned a couple and put one on my Weekend Wear board...trying to encourage all of us to look our best when we leave the house just to run errands!! You are amazing at this! 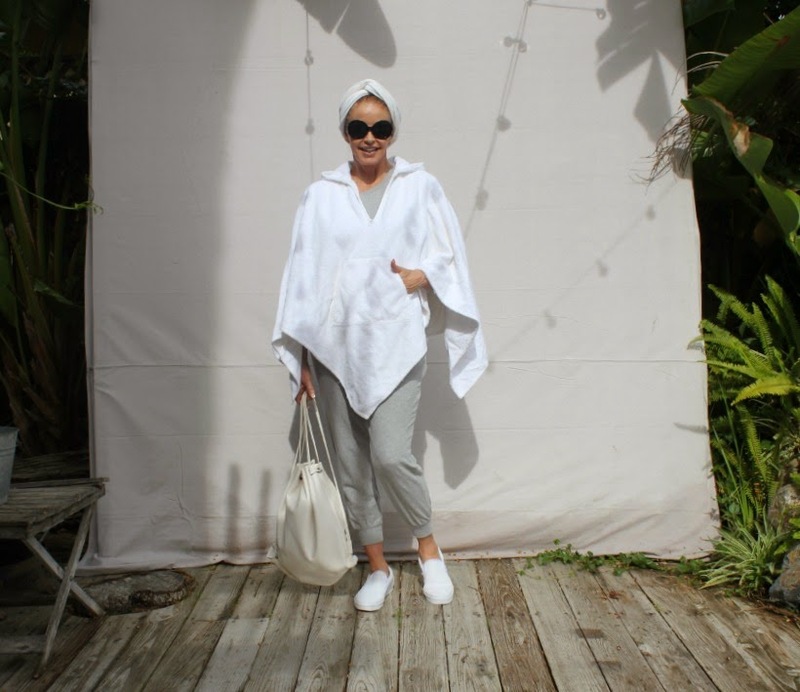 You have such style, Tamera...love the looks here, especially the turban and poncho you look like a movie star! A very big thank you for your lovely comment on my blog you made my heart sing...thank you so much. LOVE, LOVE, LOVE! That jumpsuit looks stylish and comfortable. I am looking forward to this series. Thanks so much for sharing. You show it is not all about money. With a simple jump suit you have so many choices when you have good ideas and taste. I like it most with the poncho and the anorak. Well styled Tamera, as ever. Tamera I love all of these looks and you do it up so right with accessories!! Tamera. This is just great. You are certainly making a case here for accessories. I have to admit that I rarely accessorize. Tiny earrings....maybe. But when I see what is happening here. You look mere and more sophisticated at each turn. It won't be easy for me but I feel some accessorizing may be in my future. Awesome post. I love to accessorize! Earrings, headscarves, bangles! I'd love to wear more necklaces but a big boozum isn't really necklace friendly! Most go into the valley of no return and are never seen again. 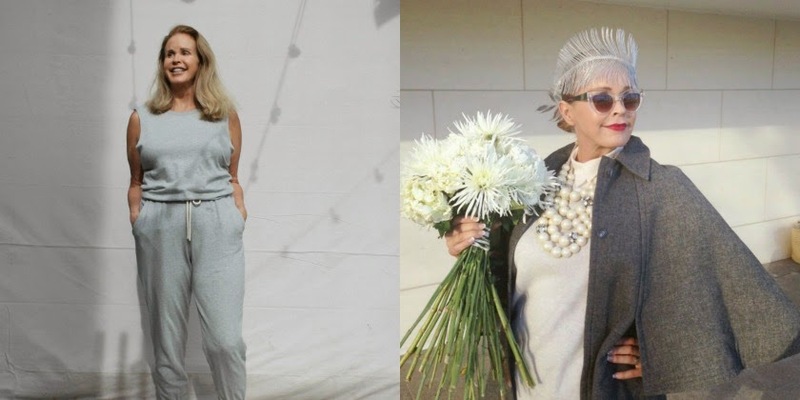 It really is amazing what you can do with a plain old grey jumpsuit. I especially love that floppy hat. Looking forward to your future accessory posts. I love what you did with your accessories here Tamera! I adore accessories; I bought two cloche hats today; haven't worn hats in awhile but I couldn't resist them and I also adore shawls and weeded those out and rehung the best ones in my closet. I just love how many looks you came up with here, and how well-thought out they were for each "event" too. And underneath it all is a comfy jumpsuit to boot. (pun intended!) I don't think anyone could turn a gray sweatsuit into something this great, that many times, for such different events. It really shows people how to think outside the box with what's in their closet. And this would be a nice travel outfit too. Thanks for all you share on your blog. I put you in my new Pinterest board "Ladies with Signature Style" yesterday because of your way with clothes. Oh, and I also told my favorite clothing consignment store in La Jolla today about your blog. 2d Act West. Check it out next time you are in La Jolla--I think you will love it for the accessories. And they have amazing vintage fur coats too. It's on Fay Avenue across from Von's. You look absolutely fabulous. I absolutely LOVE the colour combination and the mix of textures of the first outfit, and thank you SO MUCH for showing the piece without all the trimmings. Goodness! I would never have come up with anything from that starting point, but you did! You came up with an outfit (well, two, come to that!) that I absolutely love and would wear with pleasure. Please keep posting outfits. You are amazing. And notice that I am not linking to my blog. I want you to know that this is a heartfelt comment rather than a thinly-disguised ad for my blog. Love this idea, please share more. Do you have basic items you recommend/prefer? Tamera - Once again you are on point with your style savvy! Love the varied looks. You Rock girl!! Budget friendly, but you look like a million bucks! Brava! You are a magjician - a creative fairylike genius! Love all your looks, more, more. I've just found you courtesy of Judith Style Crone's latest post. I've had a little poke around and will be back! This is so much fun! I adore your ideas, both of keeping it so real (to and in life) and how to keep it budget friendly by mainly shopping in our own closets. What a fun and way of truly inviting your readers to become your close and genuine friends. Wow, love this series. Love your sense of adventure and style! This jumpsuit is very unflattering (color and style) to most body types and ages. An unfortunate choice as are the accessories. I hope the next one turns out better. I LOVE that jumpsuit! You styled it wonderfully AND accessories DO MAKE the outfit! !